This 11-day comfort-camping group safari takes you on a journey through the three most famous nature reserves of Botswana. 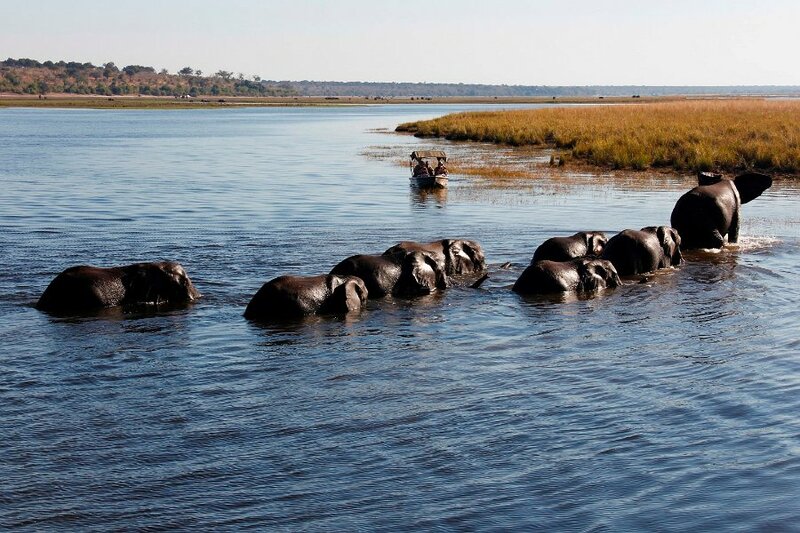 The Chobe National Park, Botswana’s first and oldest national park, with its large elephant and Cape buffalo herds lies directly next to the Chobe River. Moremi Game Reserve is one of the most beautiful and diverse game reserves in Africa and will surely be an unforgettable experience. 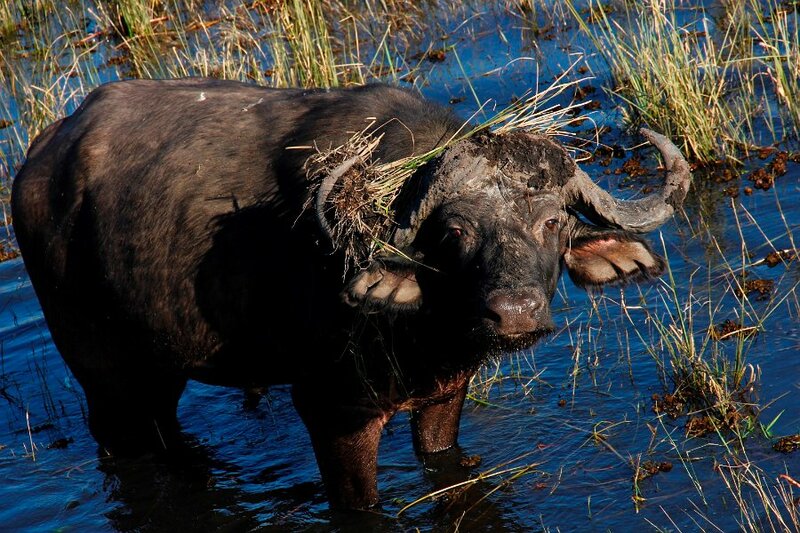 Exploring the Okavango Delta in log canoes, offering a new perspective on game viewing, should also not be overlooked! 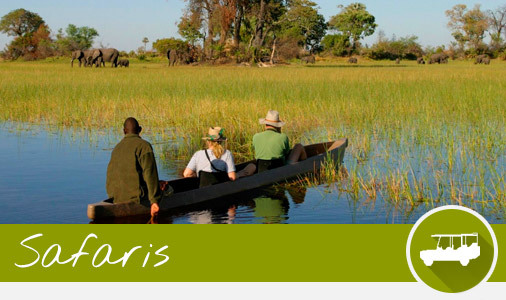 Unique wildlife viewing, contact with the country and its people as well as more than enough time to relax make this tour a once-in-a-lifetime experience. You will be accompanied by professional guides, cooks and a camp crew, who will look after your well-being. In the afternoon you will be met by your safari guide at Maun Airport. After a short safari briefing, you will head in the direction of Moremi Game Reserve. The mighty Okavango River, which branches out over Botswana’s landscape, forms the largest inland delta in the world – the Okavango Delta. Along the way you will enjoy lunch in the form of a lunchbox before you arrive at your already erected camp in time for a refreshing sundowner. A hearty meal under the starry sky brings your first safari day to a close. You will overnight at a campsite. The day will be spent on game drives in the Moremi Game Reserve. The reserve is one of the most beautiful and diverse reserves on the African continent and forms part of the Okavango’s unique ecosystem. 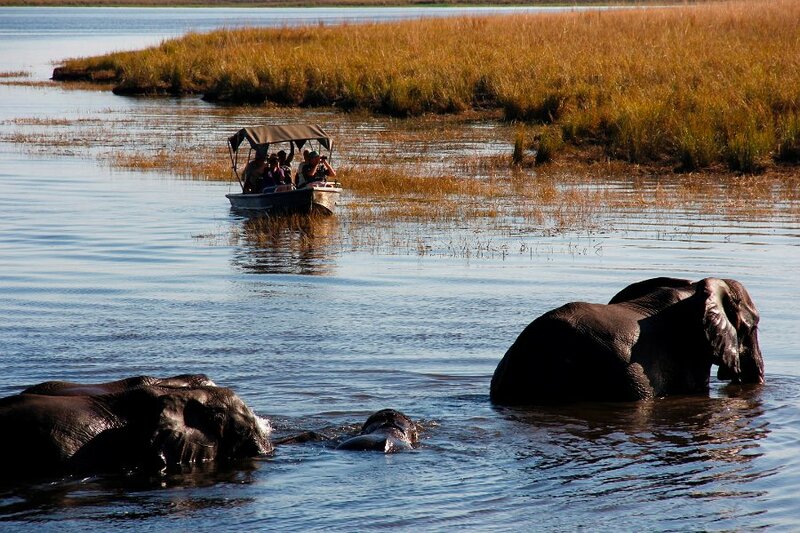 The Moremi Game Reserve stretches across 5000 km2 and comprises of one third of the enormous delta. Dinner and overnight at a campsite. After a leisurely breakfast you will continue onwards to the Khwai Community Area, which will take approximately 3-4 hours, depending on road conditions. Along the way you will stop to rest and enjoy an invigorating lunchbox. The Khwai River forms a border between the community area of the same name and the Moremi Game Reserve. The following days will be spent exploring the Khwai floodplains by day as well as night. 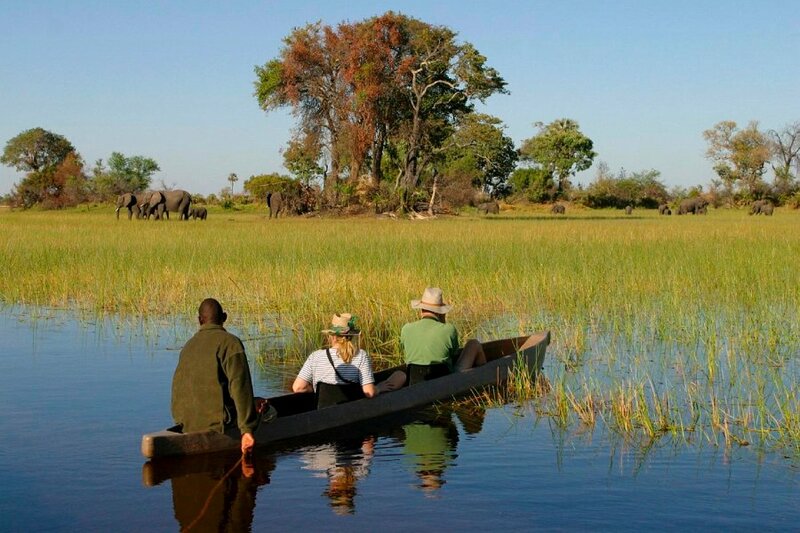 You also have the opportunity to explore the Okavango Delta by mokoro (log canoes). The mokoros are steered by so-called “polers” from the Khwai Community, who know the labyrinth of waterways like the back of their hands. Particularly fascinating are the night game drives, where you will get the chance to spot the nocturnal animals as well as closely inspect the nightly activities of animals seen during the day. These night game drives are conducted in the Khwai Community Area, outside the perimeters of the Moremi Game Reserve, offering a truly unique experience. Dinner and overnight at a campsite. After breakfast has been eaten and the camp has been packed up, you will continue your journey onwards to the Chobe National Park. 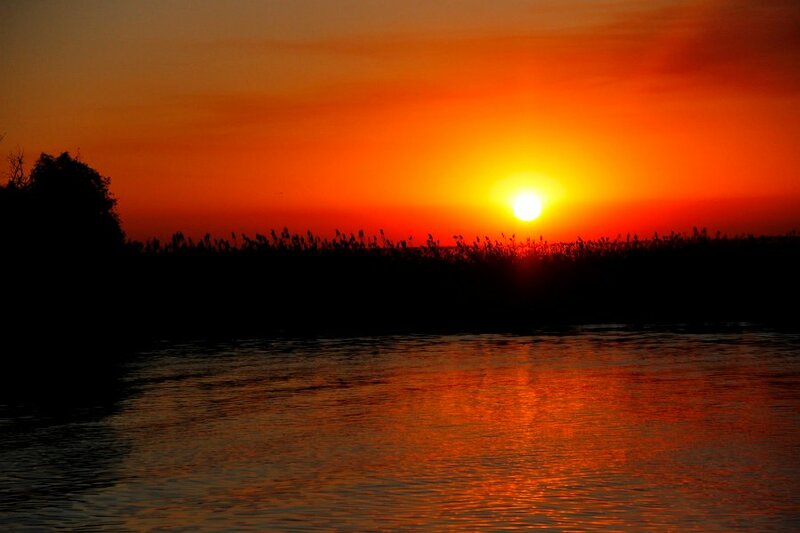 The next three nights will be spent in the Savute Region of the Chobe National Park, an area rich in wildlife. The national park is well known for its large elephant herds that at times can have as much as 300 animals. Since 2010, the once very dry region, has been receiving a regular stream of water from the Savuti Channel – after a 30 year dry spell! Due to the now flowing water, the region houses a type of migration of zebras, kudus, impalas and wildebeest, closely followed by the predators always hot on their heels. The following days are set aside for game drives in the western part of the Chobe National Park. In the evenings you will head back to your camp for a delicious meal and a cosy evening in front of the campfire with the stars lighting up the skies like diamonds. The sounds of the animal kingdom will take you off to dreamland. Overnight at a campsite. 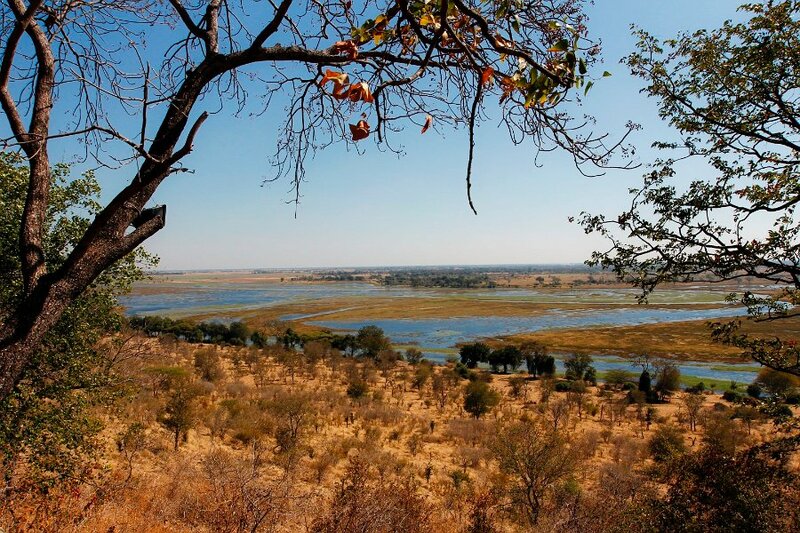 The tour continues further north to the Chobe River, where you will camp directly next to the river. The bank of the Chobe River attracts numerous animals, such as lions, hippos, buffaloes, pukus and the shy sable antelopes and wild dogs. 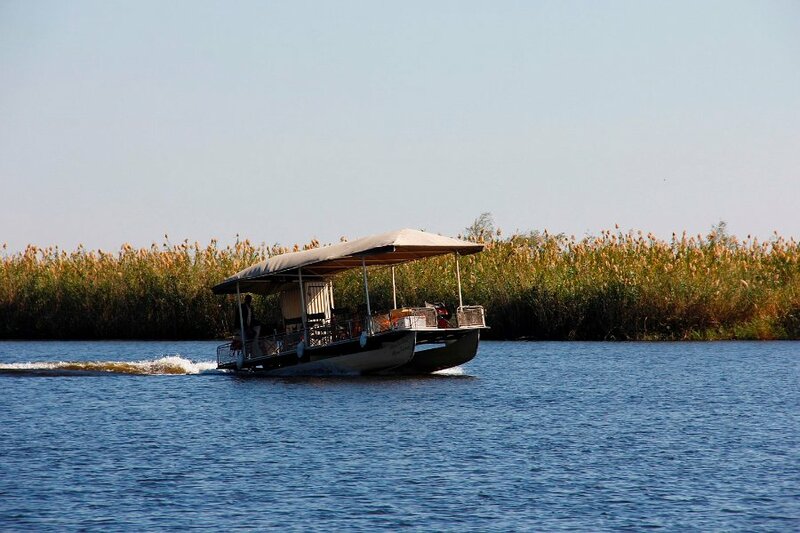 You will spend the next two days on game drives through the park and on day 10 enjoy a boat safari on the Chobe River. Bumpy roads, dust and detours are long forgotten when speeding along the river shore and getting up close and personal to the animals taking a sip of the refreshing water. Dinner and overnight at a campsite. 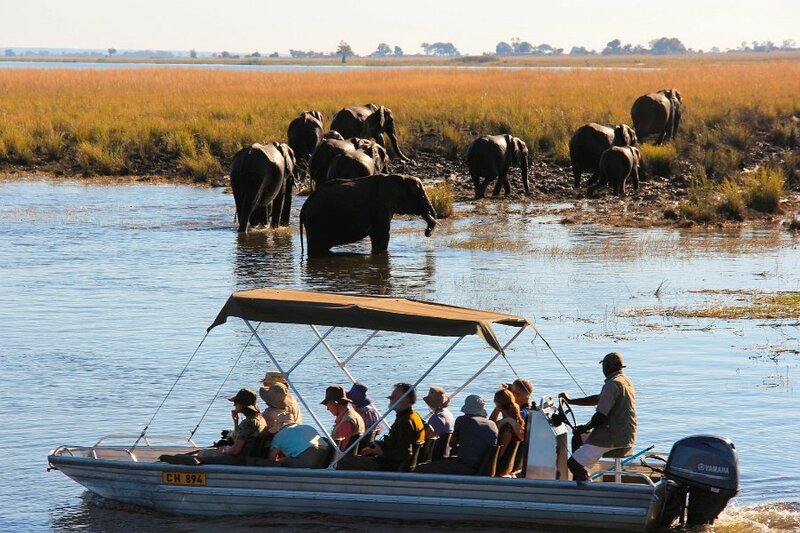 An early start will allow for a last game drive in the Chobe National Park and after a scrumptious breakfast you will head to Kasane where your tour ends at around 09:00 h.
Important note: The tour runs from Maun to Kasane and vice versa. Our consultant will advise you on the direction of the respective departure date in the individual proposal.